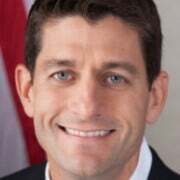 Paul Ryan is the 54th speaker of the House of Representatives. He has represented Wisconsin's 1st district since 1999. Millions of Americans are filing their taxes this month—and getting a good reminder of why they despise the IRS. But thanks to the Republican majority in Congress, the IRS is being forced to start cleaning up its act. When the IRS scandal broke, Congress demanded answers from the agency’s top officials. Were they targeting groups for their religious and political beliefs? No, they said, it was just a few rogue employees in Ohio—if anything at all. 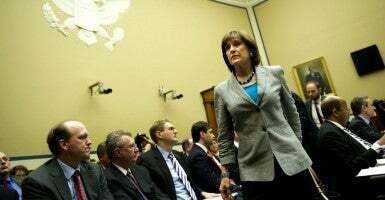 Well, what happened to Lois Lerner’s emails? Oh, they were lost in a tragic hard drive crash. Shouldn’t we update our laws to prevent future abuses? Don’t worry, the IRS responded with a cavalier attitude, we’ve got it covered. By shining sunlight on the IRS, we demonstrated that conservative groups were being targeted for abuse based on their political beliefs. Many important—and perhaps, incriminating—emails were destroyed. And no safeguards were installed to stop any of it from happening again. So we took action. We didn’t just prolong the investigation. We put into place reforms to shift the balance of power back to the taxpayer. For example, in 2011, we learned that the IRS was threatening to impose the gift tax on donors to conservative nonprofits, which would have forced many of these groups to close their doors. So Congress passed a law to make it clear that these donations are exempt. There is now a codified Taxpayer Bill of Rights hanging at every IRS building across the country. Because of the actions we’ve taken, agency employees like Lois Lerner can no longer use their personal email addresses for official business. Organizations can self-declare their tax-exempt status, and if the IRS rescinds their status, they have the right to appeal. As a result of our legislation, if the IRS compromises an organization’s confidential information, it can learn exactly what happened and who is responsible. And finally, political targeting is now a firing offense. This is the difference a Republican majority has made, but we still have much more to do. Just weeks ago, we learned that a cyber attack may have breached the accounts of more than 700,000 taxpayers. That’s more than double the agency’s original estimate. All Americans deserve to have confidence that they will be treated fairly by the IRS—and our work won’t stop until this is a reality. The single best thing we can do to rein in the IRS is to fix our tax code. Instead of a tax code all of us can live by, we have a code that none of us can understand. We need to simplify the code so that it helps create jobs and raise wages. And that’s why tax reform is at the top of our agenda to restore a confident America.